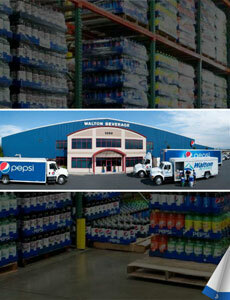 Today, Walton Beverage has 135 employees, over 30 delivery trucks, and two dozen trailers. The company delivers Pepsi and other products to large national chains, such as Wal-Mart, Target, Kroger, Safeway, and Albertsons, as well as to many local, independent stores throughout four counties in northwestern Washington. “We also have over 1,500 vending machines throughout the area” says Carothers. “We are a full-service vendor. We not only vend beverage products, we also have snacks and some food items.” Thus, other Walton Beverage clients include casinos, universities and colleges, restaurants, bars, hospitals, hotels and motels, and golf courses. Carothers continues: “Pepsi is our most important brand, but we focus on many things, now. We sell some innovative food products; there’s a product called Moon Cheese – a product that was developed in British Columbia that’s manufactured right here in Ferndale. It’s a cheese product produced with new technology which pulls the moisture out of the cheese without de-naturing the product. So, we’re looking for ‘Better for You’ foods and snacks that meet the needs of the consumer. 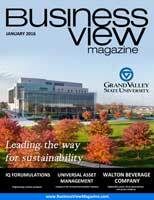 This business will help offset consumer trends which are driving declining CSD (carbonated soft drinks) consumption. Alcohol sales also allow Walton Beverage to reach out to new consumers. 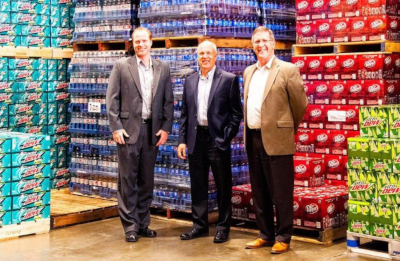 Rich in family tradition, and with an unwavering commitment to delivering quality drinks and snacks, Walton Beverage looks poised to continue its 85-year run as one of northwestern Washington’s premier, full-service vending and distribution companies.